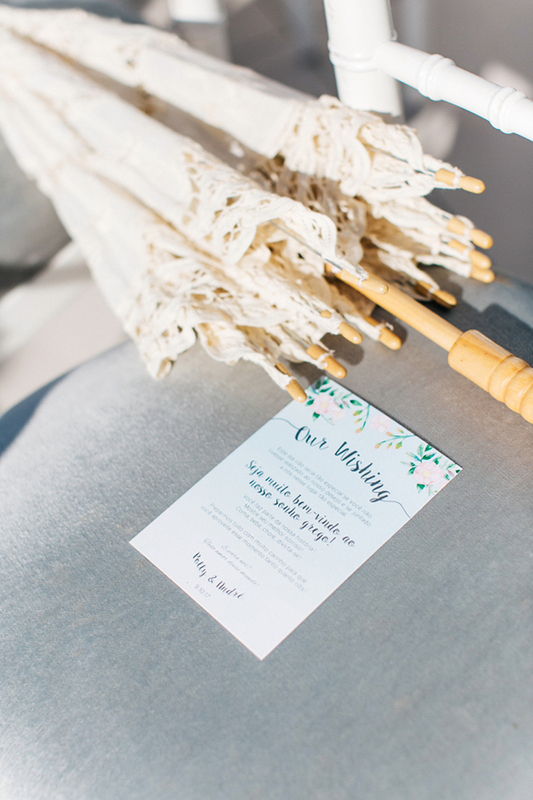 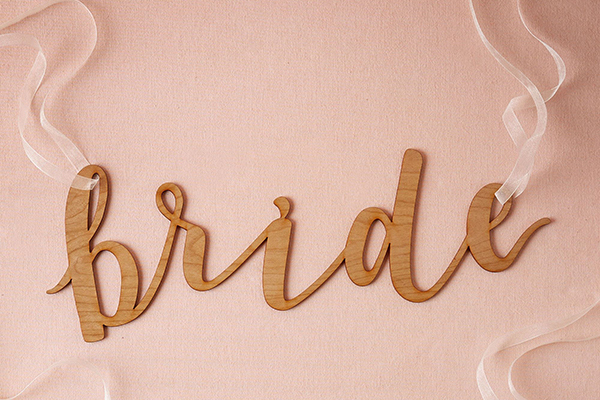 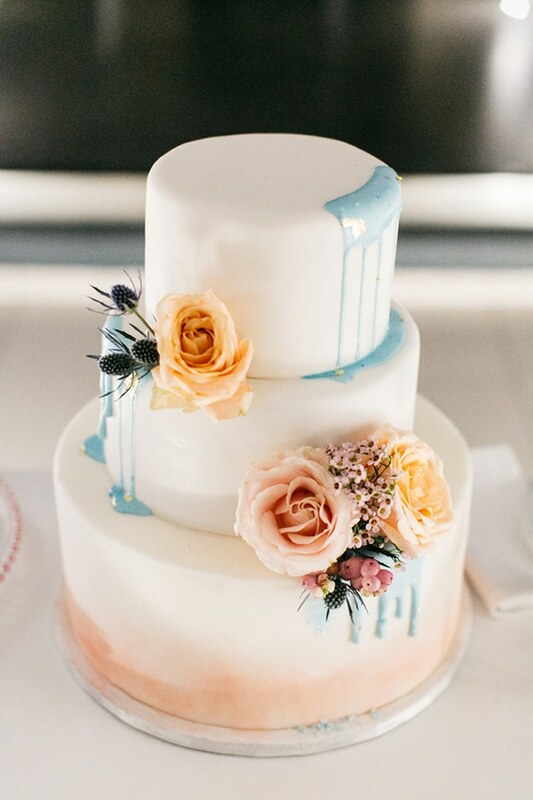 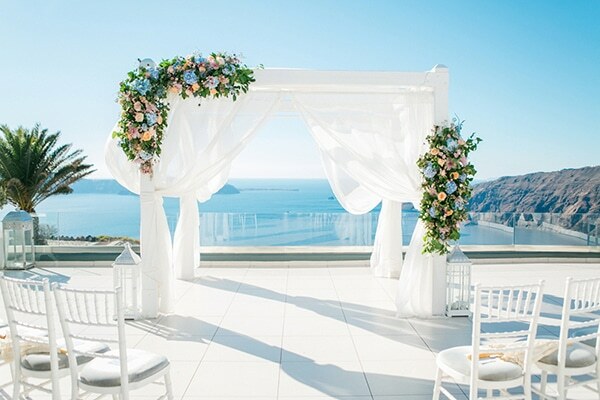 If you’re dreaming of a bright, romantic yet elegant wedding, then these decorative ideas will steal your heart! 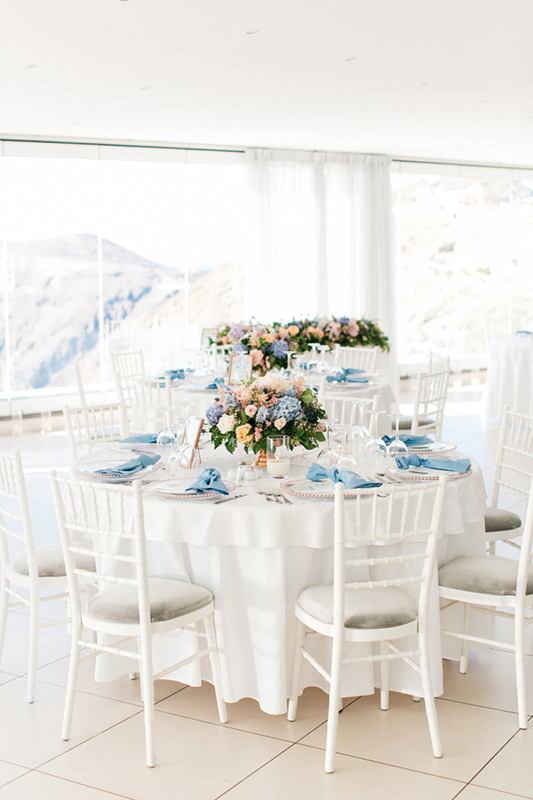 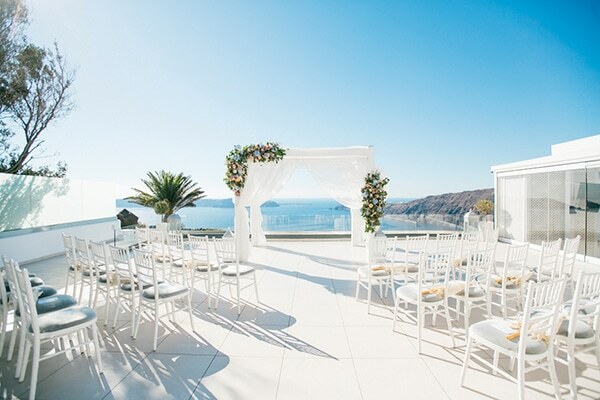 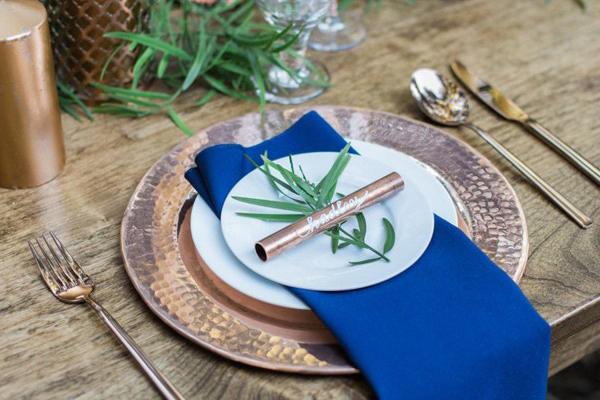 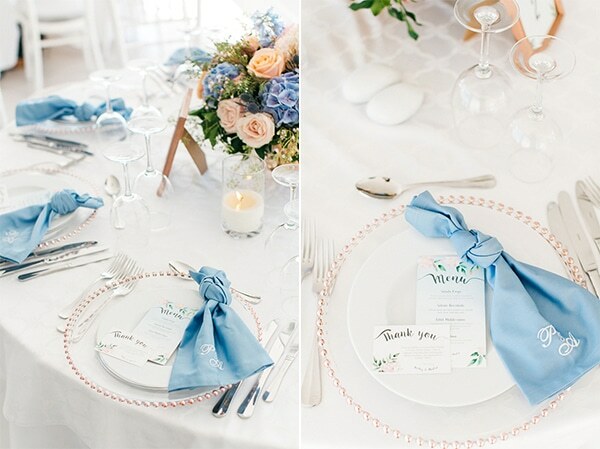 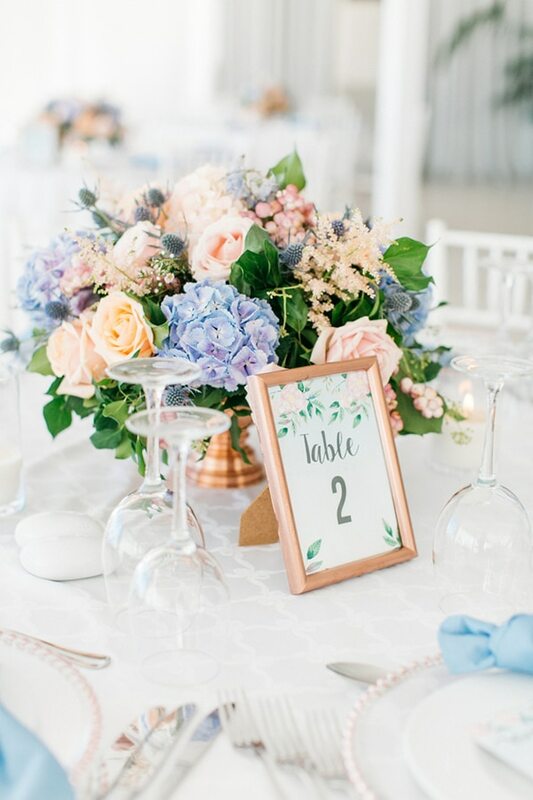 With soft light blue, coral hues and rose gold details, the incredible venue became even prettier. 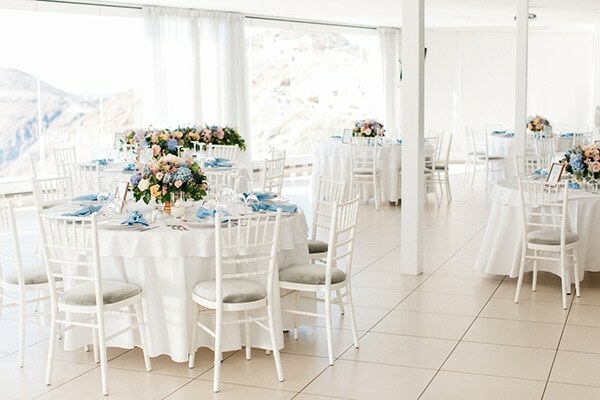 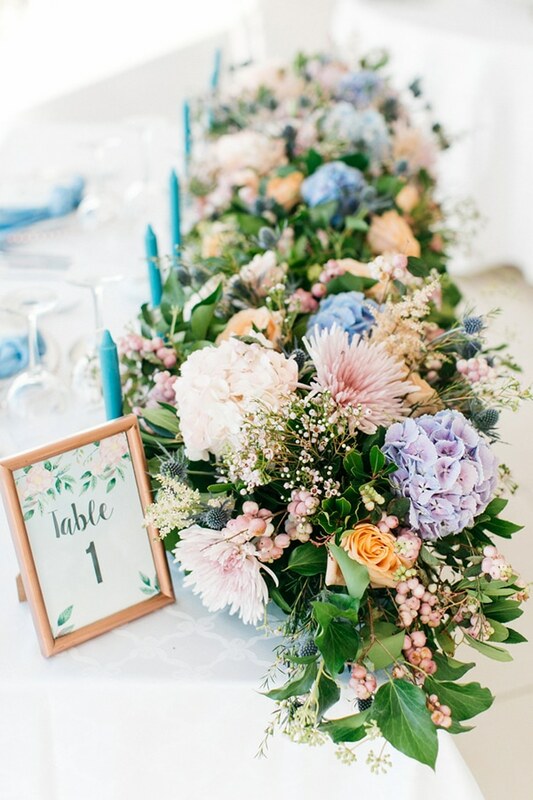 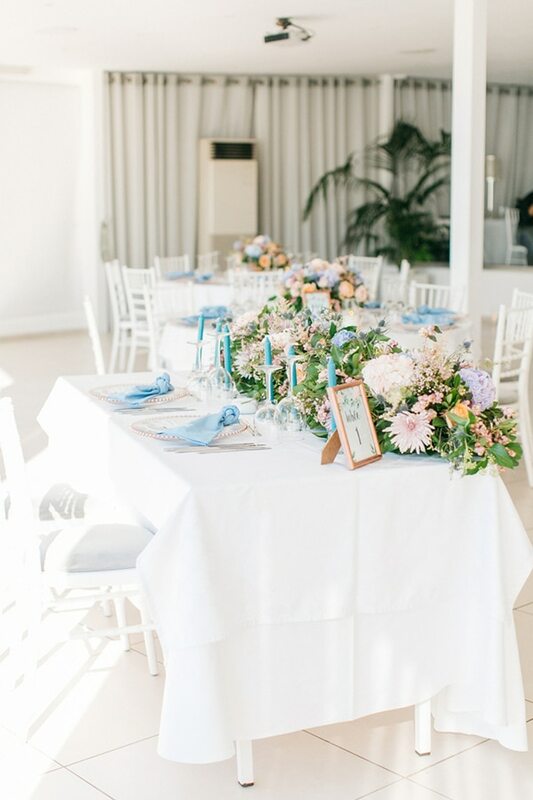 Round tables adorned with fresh, beautiful flower bouquets, crystal tableware and candles added to the reception venue the essential touch of colour and vividness. 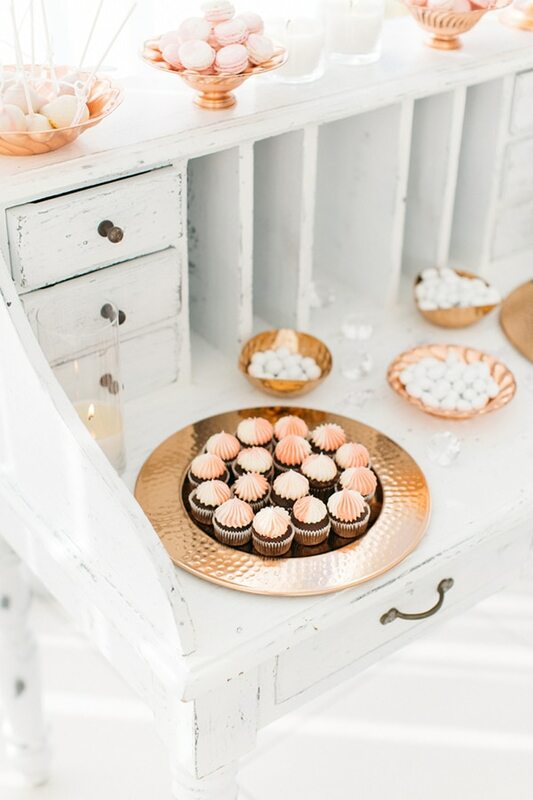 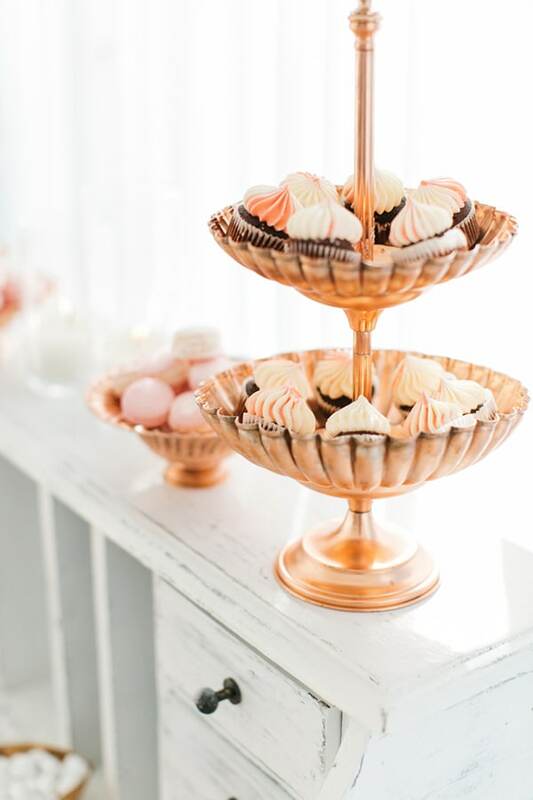 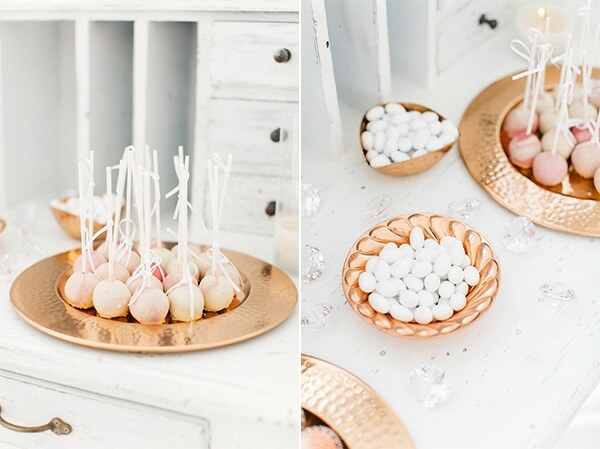 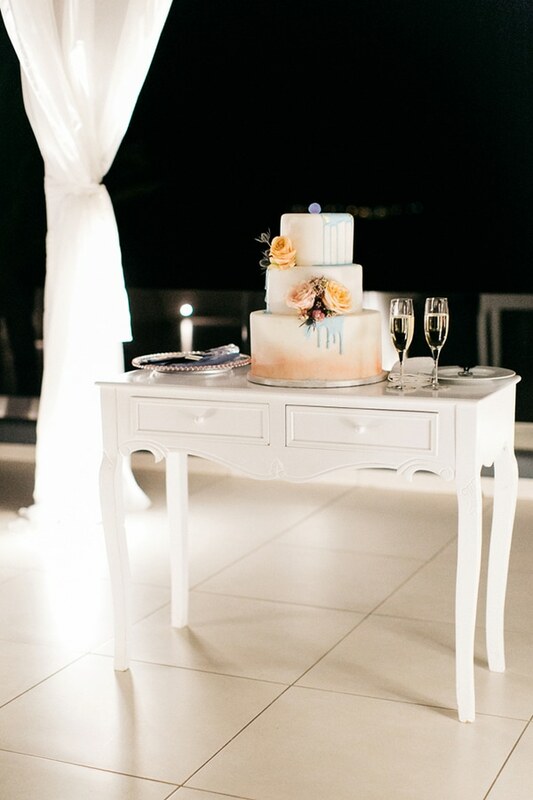 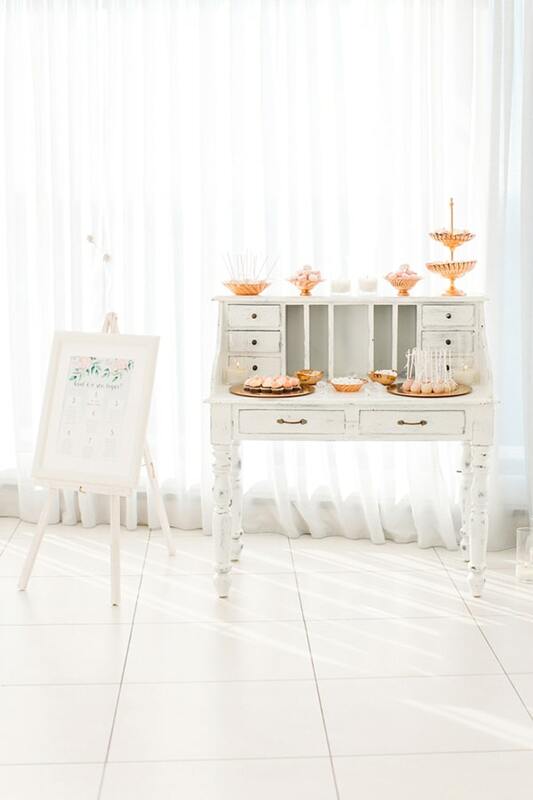 What to say about the small vintage dessert table which completed the scene perfectly with its delicious sweet treats. 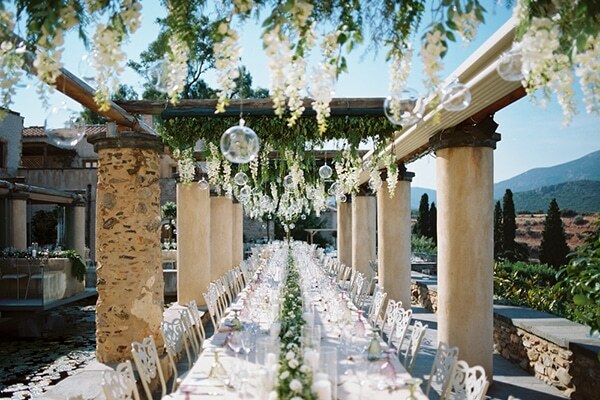 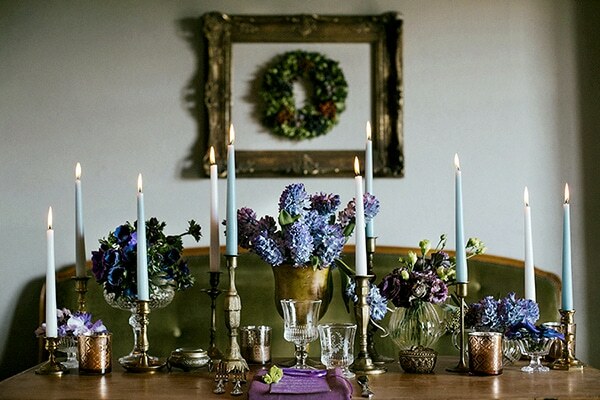 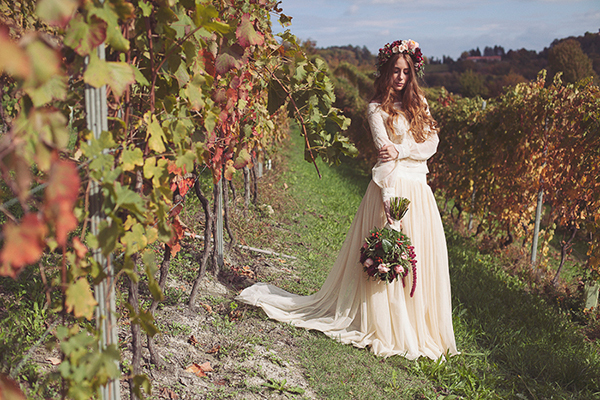 Feast your eyes on all this romantic and chic beauty!